OWIS GmbH was founded in 1980 and is headquartered in Staufen near Freiburg, in South-Western Germany. Our employees ensure excellent products and consistent customer service. We are very proud to be a successful family-owned company. The company develops, produces, distributes and services optical beam handling as well as highly precise positioning systems – still according to the maxim »Made in Germany«. Information technology, mechanical engineering, biotechnology, medicine, image processing and printing industry are some of our product application areas. An own development and an ultramodern manufacturing make OWIS to your perfect system partner in connecting macro, micro and nano worlds. This ideal combination enables short-term adjustments to our catalogue products – up to customized solutions. We dedicate all our activities to constantly developing the OWIS® products and improving internal processes and at the same time to continuously deepening our knowledge and experience. Because we are sure: This is the only guarantee for steady customer satisfaction and future success. Our strength is based on the innovation capacity and market orientation, which have tradition with OWIS from the very beginning. As a system partner to our customers we take special responsibility in continuously developing and improving our product portfolio to meet our customers’ needs. The OWIS system installation kits allow the experimenter to provide experimental setups within shortest time. Furthermore, it is guaranteed that, when using the existing system components with a future series production, the same kits can be employed. This is particularly important for the industrial research. OWIS positioning systems are the economic solution for applications, where simple but precise motion sequences have to be realized. 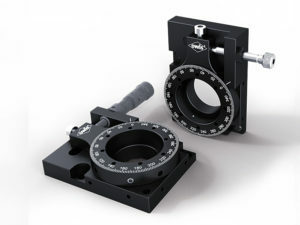 Due to the manifold combination possibilities of linear, rotary, angular adjustment and tilt stages, goniometers as well as fine-thread and micrometer screws in the most different specifications, a large application area is covered. 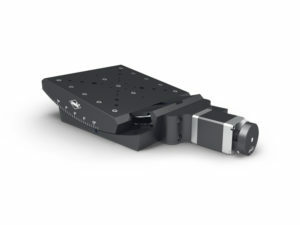 If parts or samples have to be moved or positioned with nanometer precision, our Nano Hybrid Positioners are used. Linear stages with our appropriate control unit are available for linear movements, also for large travels and loads. The compatibility to each other as well as to our other positioning systems allows the assembly of multi-axes combinations for complex movements. 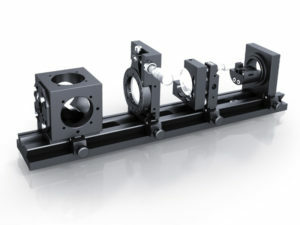 Optomechanical components are used in all research fields of the industrial sectors where light is used for experimental and developing processes. These are not only standard but also customer and application-specific products. 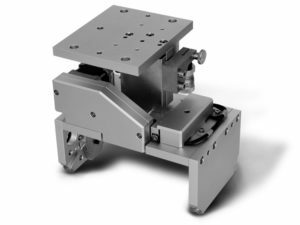 The kinematic and gimbal adjustment units with the corresponding inserts are brought to the required beam handling heights, when mounted on slides, pins or directly on optical tables. 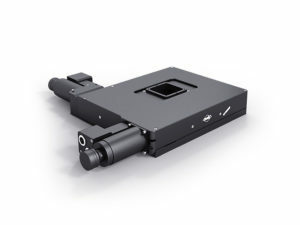 Motorized positioning systems are used in research and laboratories as well as in various industrial sectors to automate precise and complex motion sequences. 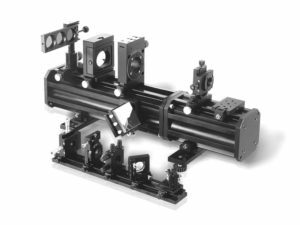 A construction kit with different automation components allows the assembling of complete harmonized systems. OWIS has a modern production line with precise machines which enable the manufacturing of high quality products. Above all, a motivated R&D team does its best to offer individual solutions to our customers. The company is proud to – not only through standard products but also through special projects – set standards for future technological development in the fields of optical beam handling and positioning systems. The offer to manufacture products for ultra-high vacuum includes almost the entire OWIS product range, starting from beam handling systems, such as system rails and optic holders, to manual and motorised positioners. To comply with the limits, special UHV motors are used for the motorised versions. The standard products for 10-9 mbar are supplied without end respectively reference switches, but can be equipped with UHV compatible switches if required. 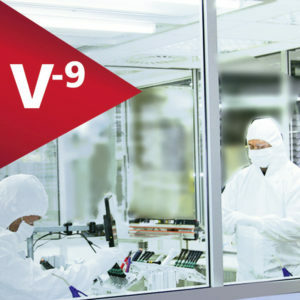 As all OWIS products, the 10-9 mbar products are of highest quality and of course “Made in Germany”.